A federal lawsuit brought by a so-called "Dreamer" deported to Mexico has been assigned to District Court Judge Gonzalo Curiel — the jurist famously attacked by then-candidate Donald Trump over his "Mexican heritage" in a separate case involving Trump University. 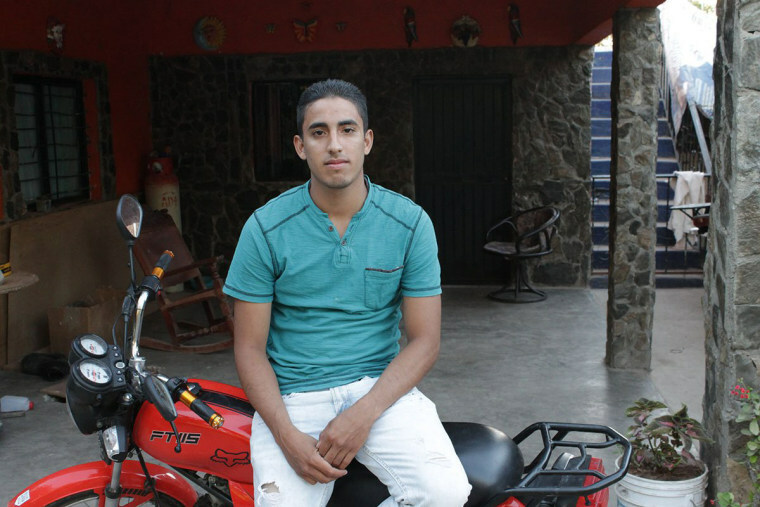 Juan Manuel Montes, 23, filed a complaint Tuesday in the U.S. District Court for the Southern District of California, alleging that the government did not provide any documentation explaining the legality of sending him back to Mexico. The suit seeks documents related to his case. The case was assigned at random to Curiel, the Indiana-born judge whose impartiality was called into question by Trump last year due to what the then-candidate called Curiel's "Mexican heritage." Many, including House Speaker Paul Ryan, said the comments were racist. But Kevin R. Johnson, dean of the University of California, Davis, School of Law, said Trump's past comments about Curiel will likely have no bearing in the case. "He handles many cases involving the United States government," Johnson said. "It is of interest because of the judge having been previously attacked — unfairly I think — by candidate Trump, but I don’t think legally there’s much of an issue here," Johnson said. Curiel, an Obama appointee who was a former U.S. attorney, did not recuse himself in the Trump University case he oversaw and made no public comments about Trump’s attacks. The Trump University suit was settled for $25 million under a deal reached in November. Lawyers for Montes said he was stopped by a law enforcement officer after leaving a friend’s house in Calexico, California, at around 10 p.m. on Feb. 17, he had left his wallet and ID in his friend’s car, and was then questioned and told to sign documents before being physically removed across the border near Mexicali, Mexico. The attorneys say Customs and Border Protection should have known Montes, who was brought to the United States when he was 9 years old, had DACA status, first granted in 2014, renewed in 2016 and not set to expire until 2018. After being assaulted in a robbery attempt in Mexico, Montes feared for his life, re-entered the United States, turned himself in to border agents, and was arrested and sent back to Mexico, according to the lawsuit. On Wednesday, the Department of Homeland Security said it had no record that Montes was removed to Mexico, but acknowledged that he had been approved for DACA through Jan. 25, 2018 — a reversal from this week, when it had said Montes' DACA status expired two years ago. But the agency now said Montes "lost his DACA status when he left the United States without advance parole on an unknown date prior to his arrest" by the border patrol on Feb. 19. The department said that Montes admitted to entering the U.S. illegally and never mentioned he had DACA status. But DHS claimed that even had he done so, he violated the continuous residency condition of the program and entered the United States illegally. DHS says Montes was sent back to Mexico shortly after 3:20 p.m. on Feb. 20. Cases involving DACA recipients could signal the Trump administration’s plans for the program, which was established in 2012, Johnson said. While taking a tough line on illegal immigration on the campaign, Trump in February called the DACA program one of the "most difficult subjects I have" and expressed sympathy for those brought to the United States as children. The program allows those brought to the U.S. as children to work and study in the country without fear of deportation. DACA status lasts for two years and can be renewed. Since 2012, more than 770,000 people have been granted DACA permits under the program. DHS has said about 1,500 recipients have lost DACA status because of a criminal conviction or gang affiliation.